Help Rick Get His Liver Transplant! Rick Joyner is a wonderful man and a loving husband who is currently awaiting a liver transplant. After contracting Hepatitis C, he developed Hepatopulmonary Syndrome which affects his blood oxygen and ability to breathe. Recently, doctors informed us that without a liver transplant, Rick would have about a year to live. Rick, who has resided in Richmond Virginia for the past 40 years, has two grown step children and is a grandfather. Rick is always willing to give of himself to others. He currently works for Rubicom Inc., a residential drug rehab facility that has operated since 1970. 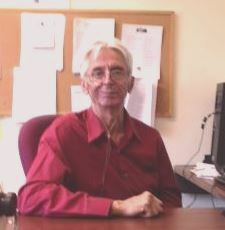 He has worked for them since 1991 starting out as a counselor and eventually becoming the Program Manager. He also is a professor at our local Community College, something he very much enjoys. With a transplant, Rick is hopeful that he can return to doing things he can no longer do, including helping his aging mother maintain her house as well as his own, and fun things like camping and fishing. Even with insurance there are many out-of-pocket medical expenses including travel back and forth to Charlottesville and the very expensive immunosuppressant medications that he will have to take for the rest of his life. To help with the financial burden of Rickâ€™s uninsured expenses, a fundraising campaign in his honor has been established with HelpHOPELive, a trusted nonprofit organization that has been providing community-based fundraising guidance to patients and their families for more than 30 years. All donations are tax-deductible, are held by HelpHOPELive in the South-Atlantic Liver Transplant Fund, and are administered by HelpHOPELive for transplant-related expenses only. Please consider making a contribution. Please help us in our efforts to support Rick whether by making a donation or reposting this anywhere you can. Great news guys, I had my liver transplant on Sept. 30th and it went so well the doctors were surprised !